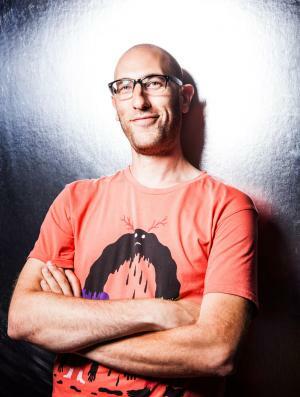 Ari Shaffir was born on the 12th February 1974, in New York City, USA, of Jewish descent. He is an actor, comedian, producer and writer, widely known as the host and producer of the podcast entitled “Skeptic Tank”. Moreover, he is starring in the television series “This Is Not Happening” (2013 – present) aired on Comedy Central. Ari Shaffir has been accumulating his net worth being active in the entertainment industry since 1999. How rich is the comedian, actor? It has been estimated that the overall size of Ari Shafirr’s net worth is as much as $300,000, as of the data given in mid-2016. To begin with, Ari was raised in Maryland, in a religious Orthodox Jewish household. He was educated in Rockville High School and matriculated at Yeshiva University in New York City. There he was awarded a scholarship to study in a seminary located in Israel, where he stayed for 3.5 years before dropping out and returning to the USA, and graduating from the University of Maryland in 1999. After graduation Shaffir moved to Los Angeles and started his career as a stand up comedian, which later evolved into a very successful career, even though, it should be said, that at the beginning he worked in the comedy club “The Comedy Store” answering the phone. In 2004, he debuted as an actor, appearing in a short film “The Fax”. The following year, Ari created a role in the feature film “Reeling in Reality”, concurrently appearing in three episodes of the television show “Minding the Store” (2005). In 2007, Shaffir added a significant sum to his net worth starring in the DVD “Pauly Shore’s Natural Born Komics” directed by Pauly Shore. In 2011, he launched his podcast “Skeptic Tank” which is being aired up to date. Then, he was invited to take a role in the television film “West Side Stories” (2012). The following year he was in the main cast of the comedy film “InAPPropriate Comedy” directed by Vince Offer, and the fact is that Ari Shaffir was one of the screenwriters alongside Ken Pringle and Vince Offer of the above-mentioned film. In 2013, Ari was invited to host the storytelling show “This Is Not Happening”, broadcast on Comedy Central. Since early 2016, he has been playing a role in the television series “What’s Your [email protected]#cking Deal?!? !” created by Michelle Caputo. Also Shaffir will be seen in the comedy film “Keeping Up With the Joneses” directed by Greg Mottola, that will be released later in 2016. It should be noted that as a stand up comedian Ari has appeared in many festivals including the most famous ones like the Bridgetown Comedy Festival, SXSW, San Francisco SketchFest, Montreal Just For Laughs and many others. Finally, in the personal life of the actor and comedian, sparse information is that he is divorced, and later was in a long term relationship with Alison Reese, however, it has been announced that the have separated. Currently, Ari claims to be single.